We are one of the leading exporter, supplier, trader & service provider of Prefabricated Storage Shed for Godown. Our products range includes Storage Shed, Guest House and many more. We are one of the leading supplier, exporter, trader & service provider of Prefabricated Storage Shed for Godown. 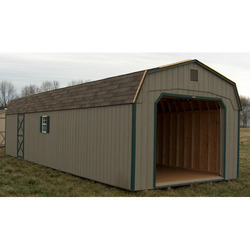 Our Storage Shed are known for their excellent designs and perfections. Looking for Prefabricated Storage Shed for Godown ?